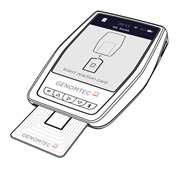 Genomtec ID is a handy, innovative diagnostic device. It is based on the amplification and detection of specific DNA and RNA fragments, i.e. the gold standard of molecular diagnostics. 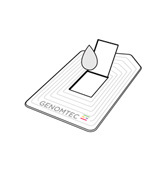 Studies involving Genomtec ID can be performed both in humans and animals as well as in agriculture, food industry and environmental contamination control. The analyzer operates based on the innovative INAAT nucleic acid amplification technology (Isothermal Nucleic Acid Amplification Technology). 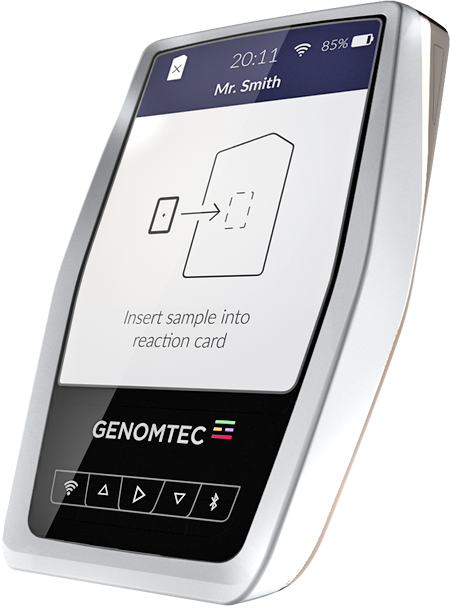 Both the original method of detection SNAAT ™ (Streamlined Nucleic Acid Amplification Technology) and the device are protected by international patent applications. 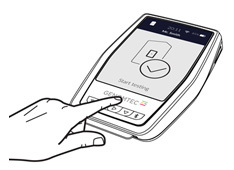 Genomtec technology, while still in further development, already has a number of implementation possibilities in many areas of medicine, including the liquid biopsy, immunological or biochemical tests. The innovativeness of the SNAAT ™ method and Genomtec technologies allows the company to constantly develop the patent cloud, which guarantees stability and economic development of the company. 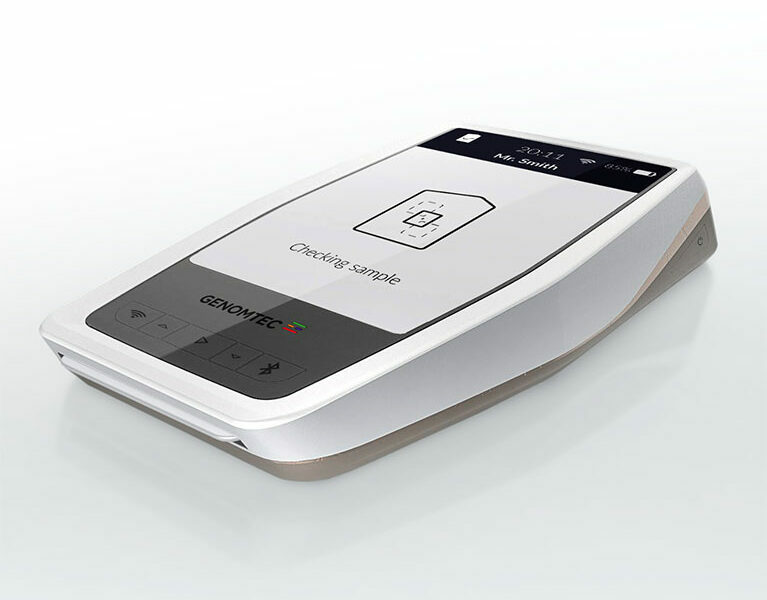 The device works independently and automatically, it is enough to apply a drop of biological material to the reaction card and then place it in the analyzer. The device will automatically test the material and provide the result. 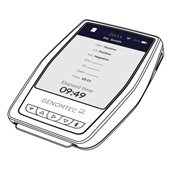 The test result can be sent directly from Genomtec ID to an e-mail address or exported to electronic medical record systems. Thanks to the closed lab-on-chip analysis system, it is not necessary to pre-isolate the genetic material, the device requires but the application of biological material to the reaction card. In this way, the possibility of contamination of the tested sample, for example with genetic material originating from the environment, is minimized. Moreover, the method simultaneously minimizes the risk of inhibiting the amplification reaction by chemical and biological substances, which could be present in a sample of blood, fluid from body cavities or tissue in case the analyzed sample would be kept in its native form. The use of genetic material concentration system on the reaction card results in a significant decrease in the detection limit of the genetic material of a pathogen without the need to increase the volume of the amplification reaction. It is hence possible to detect an infection earlier, which speeds up the process of selection of the appropriate means of therapy. The SNAAT technology, in contrast to the Polymerase Chain Reaction (PCR) developed in 1983, uses not 2 but 8 oligonucleotide sequences – which are the primers of the reaction. As a result, the probability of amplifying the genetic material other than the one targeted by the test decreases significantly. In addition, the use of state-of-the-art enzymes responsible for specific amplification of a pathogen’s DNA or RNA in diagnostic kits results results in shortening the amplification time to even 10 minutes, as it no longer requires the use of cycles of temperature changes. 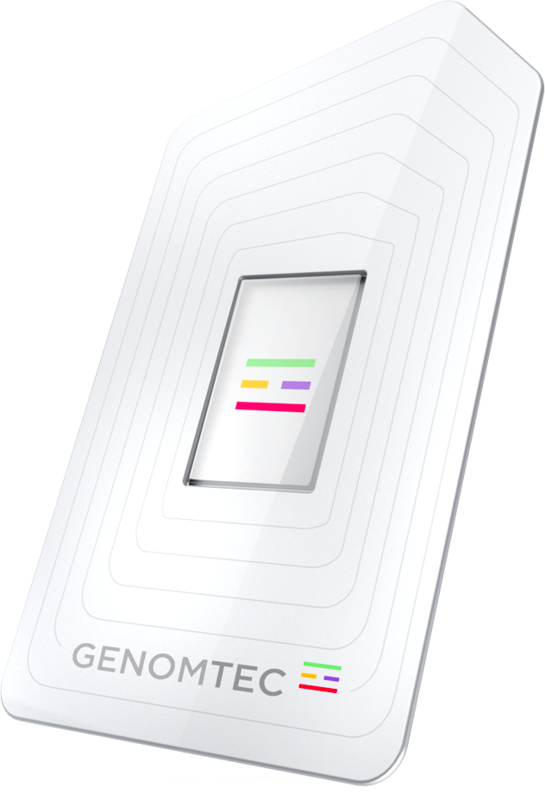 How does GENOMTEC ID work? Current solutions in molecular diagnostics require the user to be able to use diagnostic equipment and have specific knowledge on proper sample preparation. The SNAAT ™ method combines mobility with an incredible simplicity of testing. An intuitive and simple test can be performed by anyone – without any need for previous training.